I love bridal shows. Heck, I still go once in awhile just to get the free cupcakes (sorry bakers). It did make me think about how could I help couples navigate all their options and these tips even apply to searching online and gives you a good foothold on what to ask during in-person or over the phone meetings! NICE PHOTOS! BUT WERE THEY AN ACTUAL CLIENT? 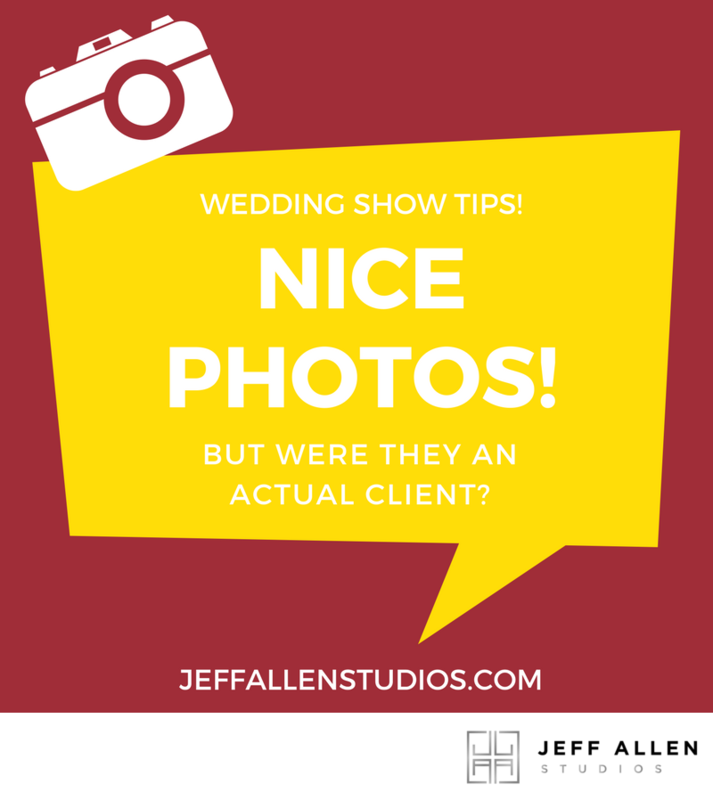 Over the past few years, there has been a huge surge in photographers being less than honest by passing off staged model shoots as client photos on websites and especially at bridal shows. I see it almost everyday on social media and it doesn’t seem to be slowing down. Even some of your less then ethical educators in our field encourage this. While it may not seem like a very big deal, it’s important that your photographer is showing you only client photos. They need to be images that they can confidently produce during the hectic environment of a real wedding day and not just a controlled situation when they have all the time in the world to get that single photo. Don't get me wrong, this won't apply to every gorgeous image you see and every photographer you meet. There are some very talented photographers out there who really know how to get want they want quickly on a wedding day. Sadly, there are also a handful of photographers that have no problem showing you a single image that took them six hours or more to capture and a ton of editing afterwards to make it look like something within their "wedding gallery". So what should you do? You shouldn’t shy away from asking if the images shown to you are from actual paying clients or from stylized shoots. You can also request to see other images from throughout that day to prove that the images are real. If they can't show you a gallery of images from that day then chances are it's a fake client they are trying to pass off. While this might seem like a big deal, you have to ask yourself... if you are dealing with an experienced professional photographer trying you earn your business, shouldn’t they have more than enough awesome client images in their portfolio to show you that they wouldn’t have to resort to creating a lot of fake ones? If they don’t, then that speaks volumes of the types of images you’ll actually get on your wedding day. They are either not very experienced or their normal wedding images just aren't awesome as they let on. 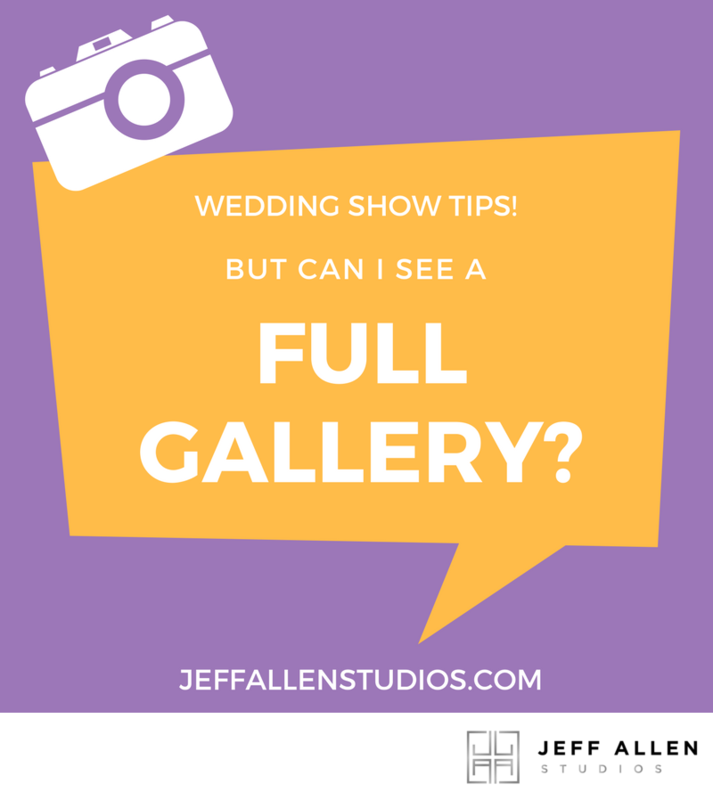 All photographers are going to show their best work or at least their favorite images on their website and on display at bridal shows. It’s only natural and let's be honest they can't all be gems. But there is also so much more to the day than these hero shots and amazing candid photos we all love and show. Your wedding can be a long day and there are tons of different parts that make up your particular story. From the couple getting ready, all those little details and decorations at your reception, those candid moments that tug at your heart, and those crazy photos during the reception that the groomsmen are really hoping I deleted (I don't by the way... ever). All of these make up your wedding story and go towards what you’ll later use for designing you wedding album and wall art. All of your images need to be awesome and not just the one they posted on Facebook for likes! Don't underestimate this question. It's not all about how nice of a photo the photographer can take but how many adverse conditions they've had to deal with over their career as a professional photographer. Being a wedding photographer can sometimes be a never-ending cycle of problem solving. From bizarre lighting conditions to dealing with the occasional equipment failure, and it's important when the going get's tough, you'll never even know about it and your photographer will be able to still deliver for you as planned! 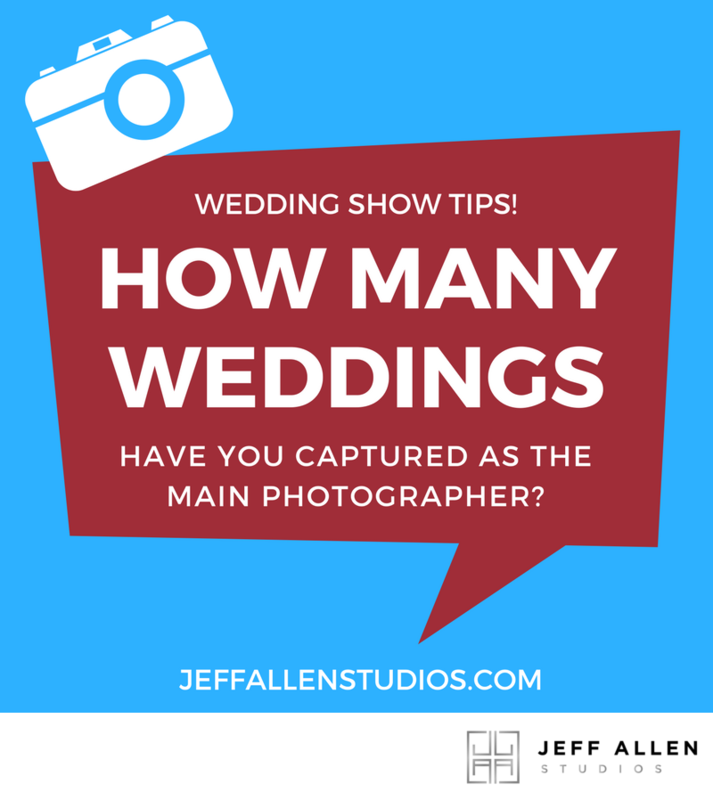 This can also lead into whether or not they have photographed your particular type of wedding ceremony. If the photographer has experience in capturing a Catholic, or Jewish, or Indian wedding can mean quite a bit if they are not use to it and they won't have any idea what they should expect on your big day. There are little elements of each one that can trip up somone less experienced. I'D LOVE TO CHAT MORE WITH YOU! If you are looking for a wedding photographer and you'd like to chat about what's most important to you on your wedding day, please contact me for more information. I would love to see if I can help make it a reality for you! "Jeff is truly one of the most talented photographers in the business. We have had the pleasure of working with him twice this past wedding season, and he seamlessly captures the emotion of the day. A wonderful creative to have on your team!"